The exhibitor can concentrate on the essentials, when the responsibility for the many practical arrangements are managed by a skilled partner. 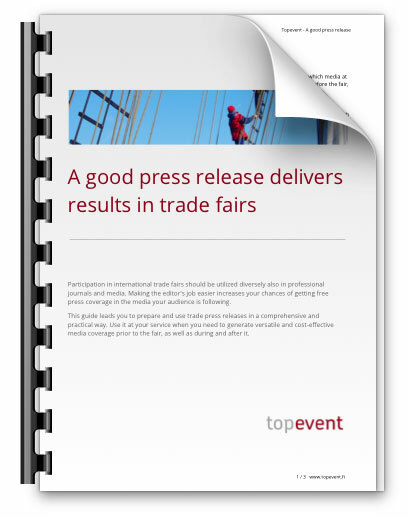 Topevent coordinates details and serves within the desired extent – prior to the fair, during the fair, as well as after the event. 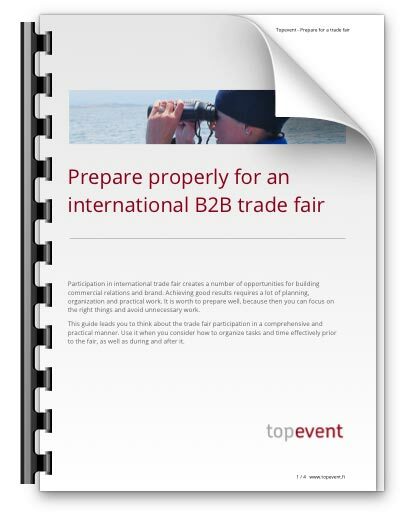 A partner with expertise in trade fair organizing knows the on-site services and enables you to focus your own resources on, for example, customers encounter. Possible practical problems are solved quietly in the background.